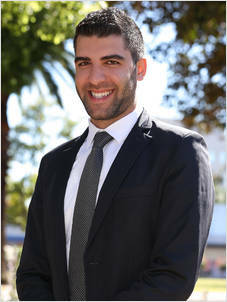 Michael Ftouny completed a Bachelor in Accounting and was working in that industry for a period of time until he realised that a career as an Accountant just wasn’t for him. Now spending over 8 years in the Real Estate industry, Michael has built a reputation for best practice customer service, honesty and integrity. A frequent award winner over the years, Michael understands the importance of cultivating strong relationships and the high level of repeat business and referrals he is extremely proud to be a part of. With his problem solving ability combined with his strong communication and interpersonal skills, this has allowed him to consistently generate positive results throughout his career. As Head of Property Management, Michael currently oversees and manages the Property Management division across both of our Parramatta and Granville offices. He ensures the best processes and procedures are practiced to enable the Property Management team to function at the top of its game for the direct benefit of customers. As a resident of Parramatta, Michael’s detailed knowledge of the local market combined with his ability to speak Arabic and French help him build strong relationships with his current and potential clients.